- Most often associated with the Mexican Day of the Dead, celebrated on Oct. 1, Nov. 1 & 2, fanciful sugar skulls are colorful reminders of a departed ancestor's influence and protection in one's life. Clock measures 11 1/2" square. Requires 1 AA battery. 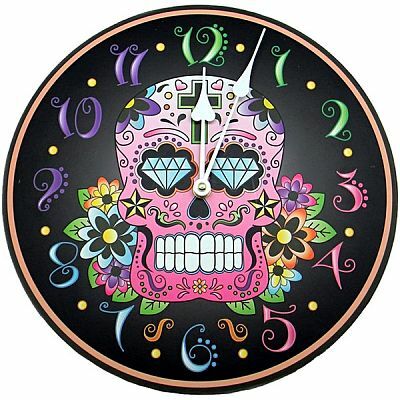 Do you have any other questions about our Black Sugar Skull Clock?